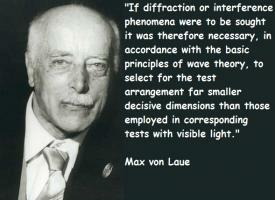 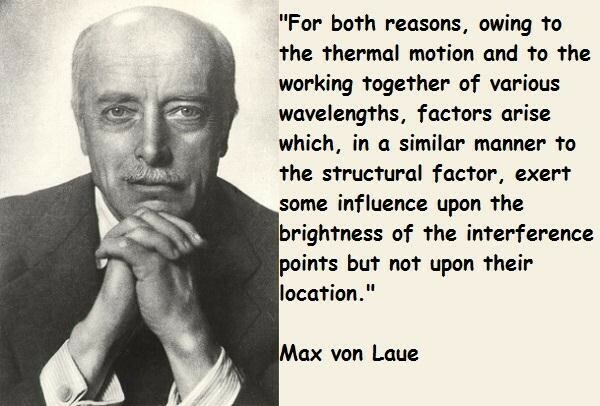 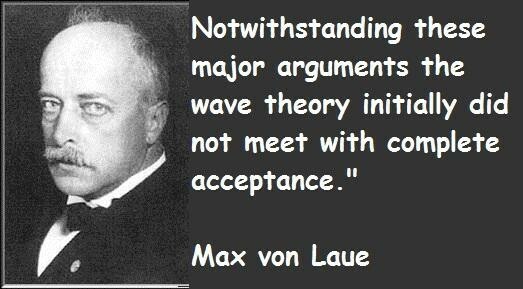 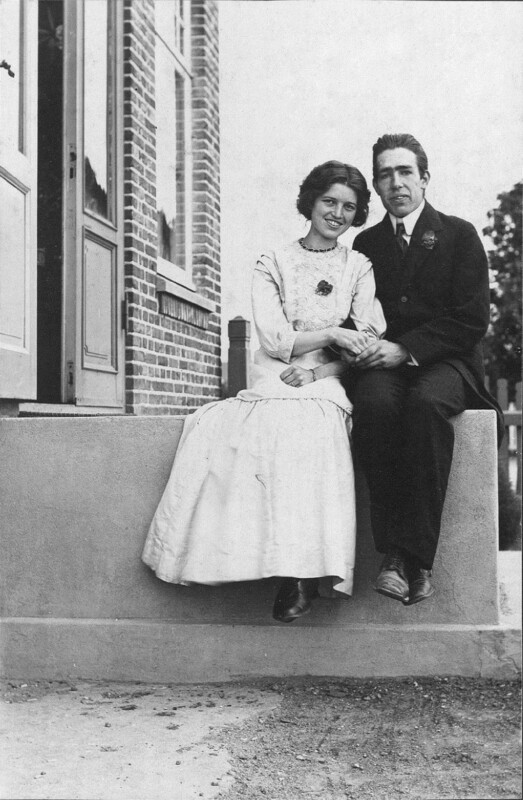 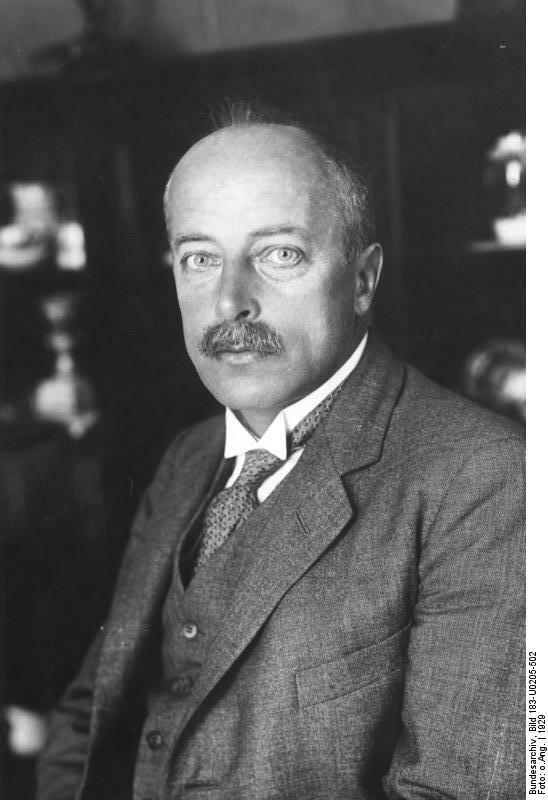 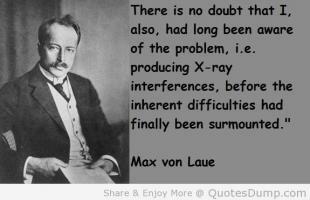 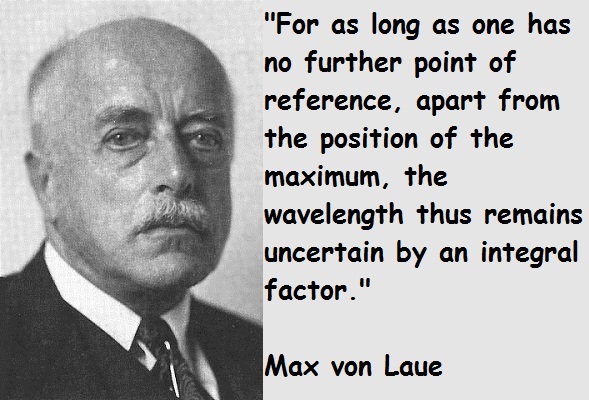 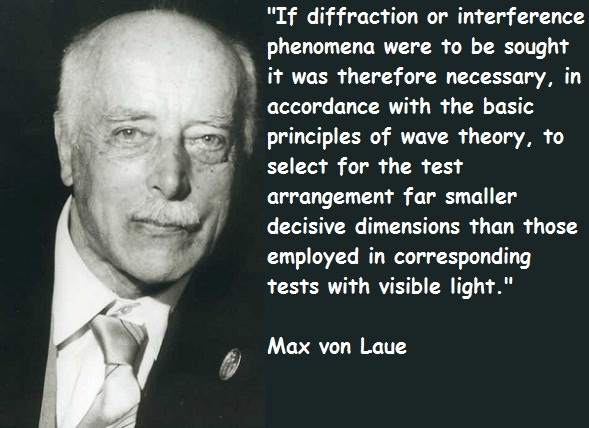 See the gallery for quotes by Max von Laue. You can to use those 8 images of quotes as a desktop wallpapers. 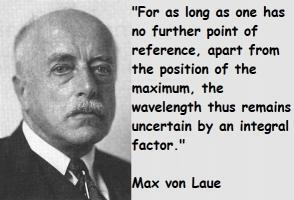 For as long as one has no further point of reference, apart from the position of the maximum, the wavelength thus remains uncertain by an integral factor.